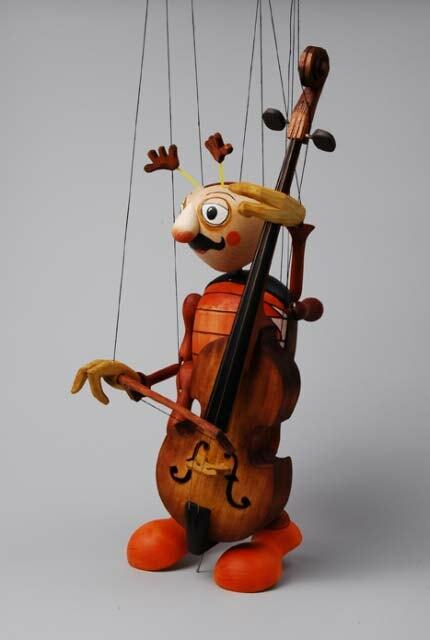 Each doll Contrabasst musician marionette for sale. It is designer work handmade by a Czech artist! 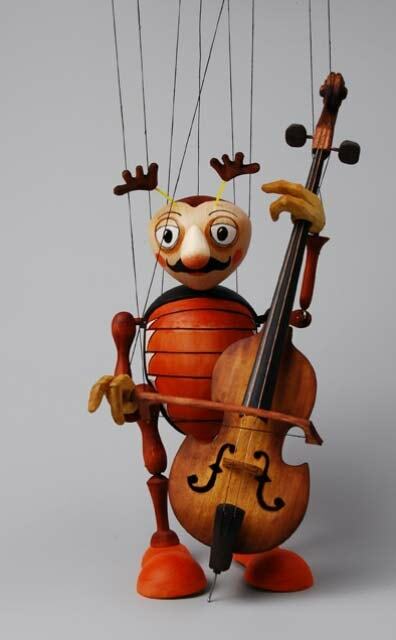 The puppet is carved of lime wood using a classical technique. 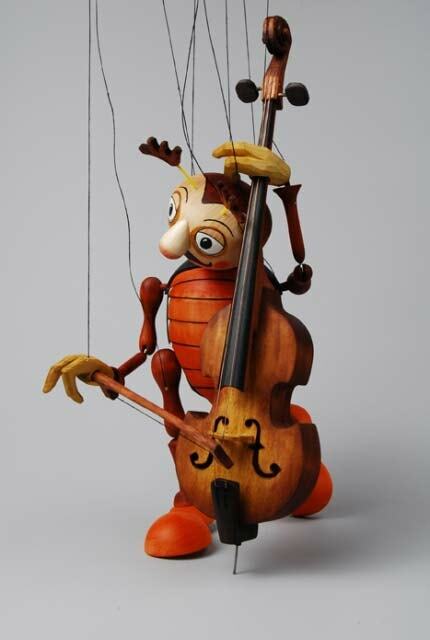 The puppet’s body is treated with beeswax and transparent oils, which reveals the structure of the wood and preserves the puppet for a long time. 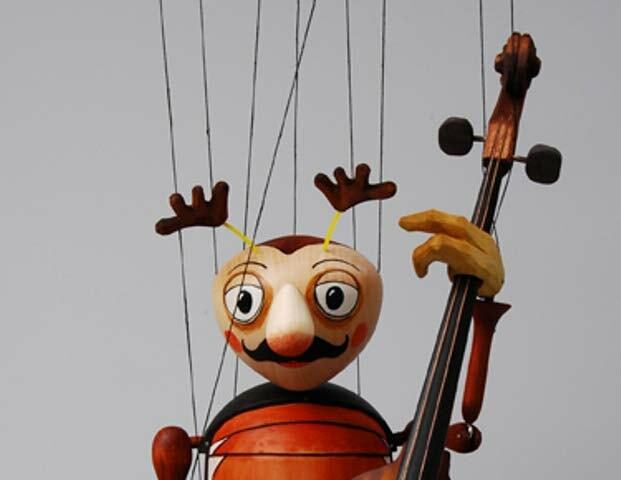 The marionette has a professional control mechanism, which allows you to use the marionette in professional theater performances and puppet show.